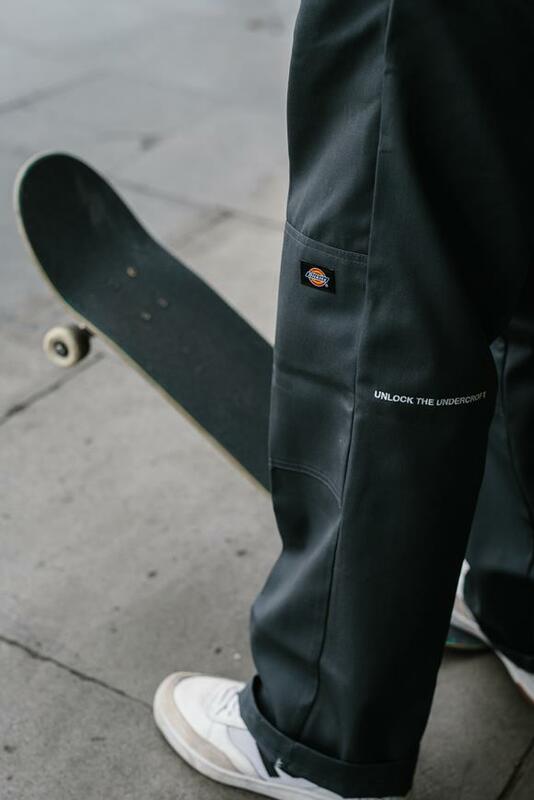 Long Live Southbank teamed up with Dickies Life for the release of their limited edition Double Knee Work Pants. 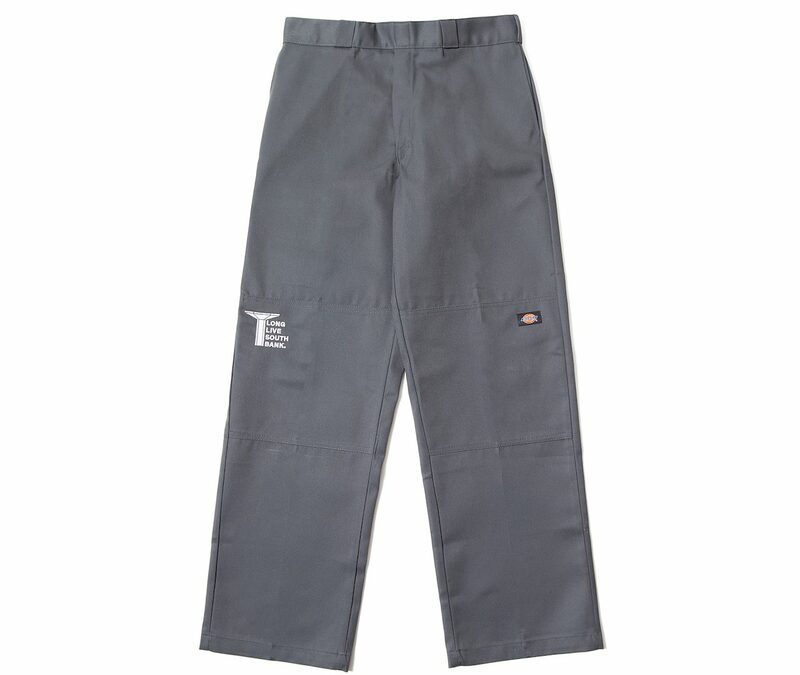 With the proceeds of each pair going directly to the restoration of Southbank. 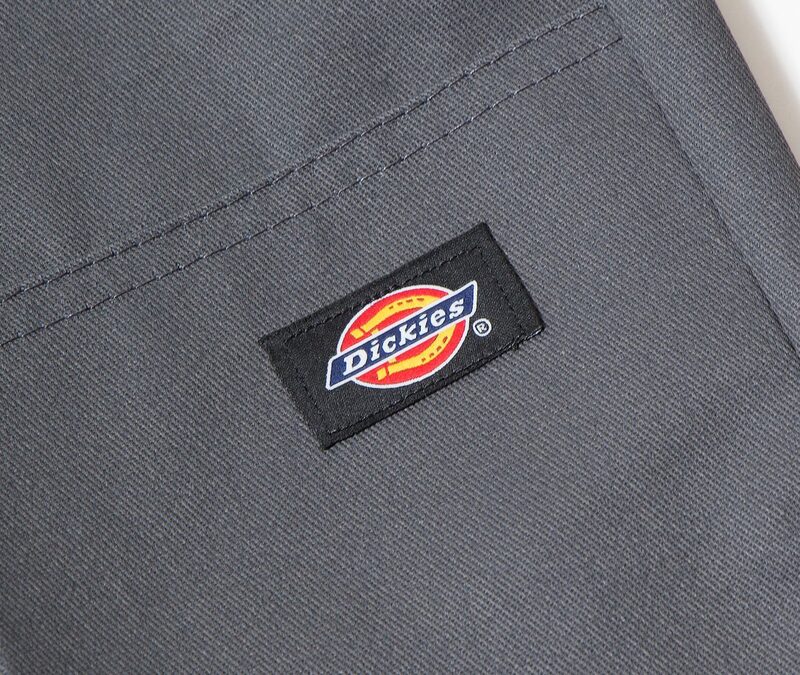 Press Release: Long Live Southbank have teamed up with Dickies Life to release limited edition Double Knee Work Pants. The concept of the collaboration was inspired by the current phase of the build, as Long Live Southbank prepare to start construction in the coming weeks. 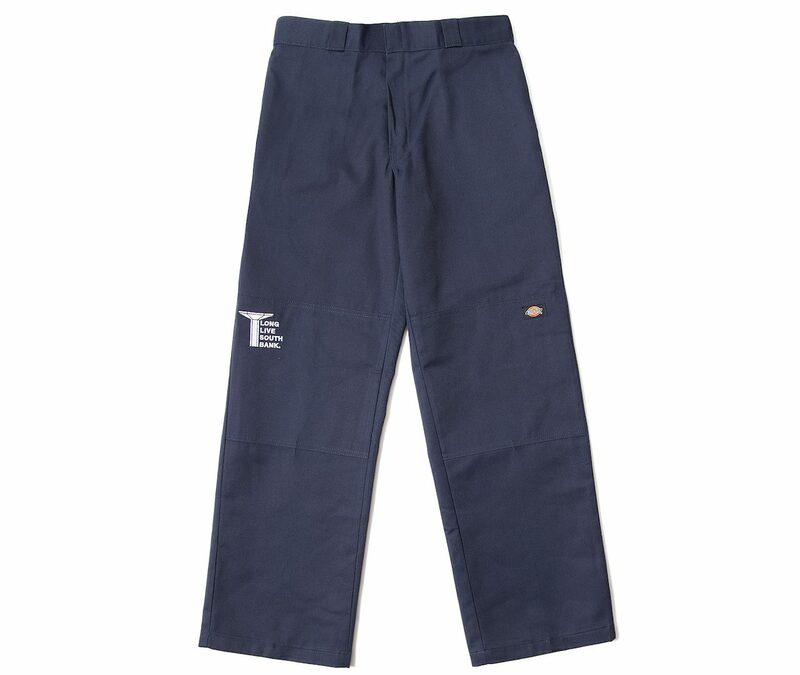 Each pair is numbered and embroidered with the classic LLSB Logo and the restoration slogan ‘UNLOCK THE UNDERCROFT’. The release is limited to 150 pairs. 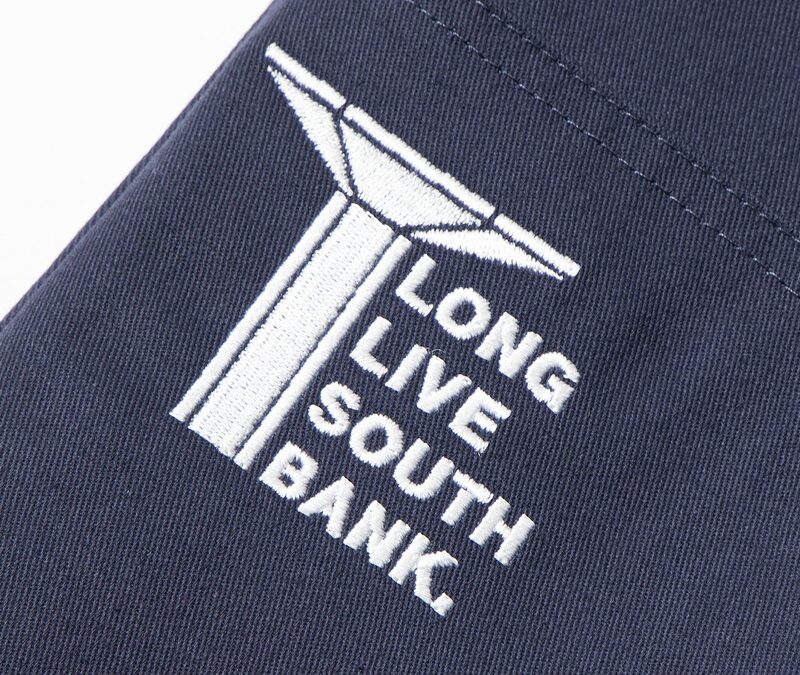 All sales will go directly and entirely to Long Live Southbank for the restoration of Southbank. 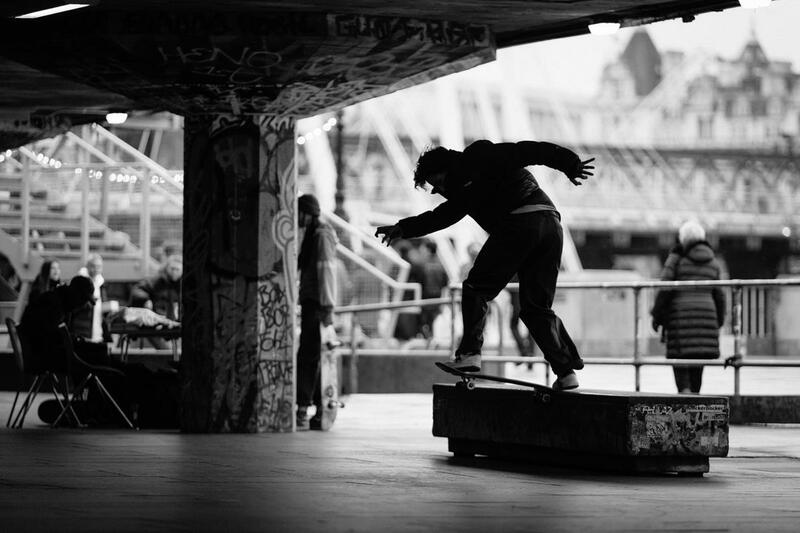 To accompany the release, Undercroft lurker Hold Tight Henry has filmed a skate edit with a selection of Southbank locals, including Dickies skater Tom Knox, which will be shown at the LLSB x Dickies launch party at Soho Radio on Saturday 16th March from 6-8pm. 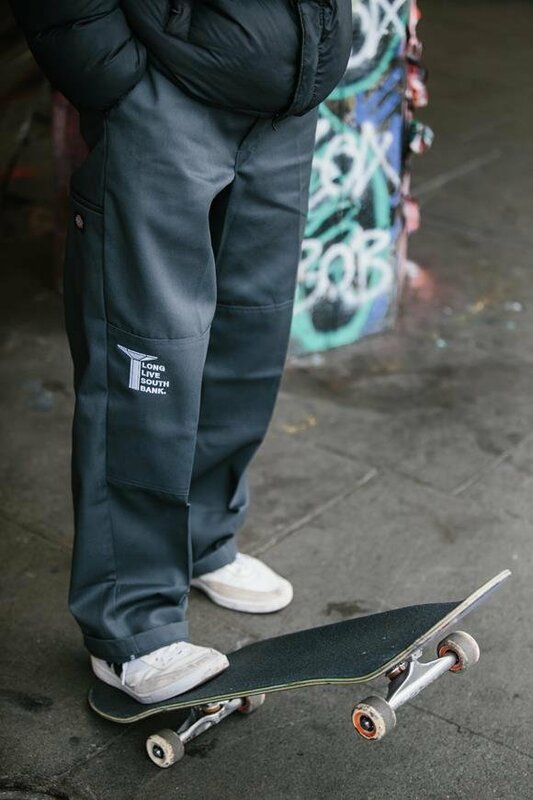 The limited pairs retail at £60 and will be available from Soho Radio on 16th and 17th March and llsb.com/shopwhile stocks last.